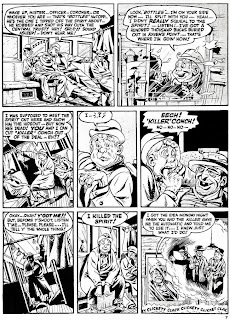 A couple of weeks ago Pappy showed daily Spirit comic strips which inspired me to pull out my own Spirit collection. 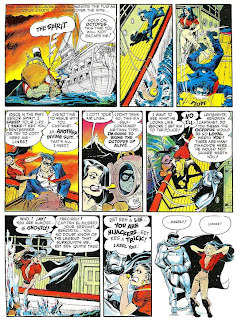 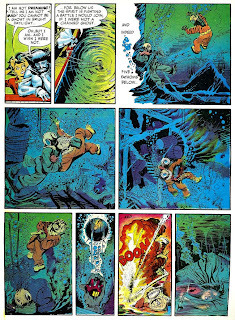 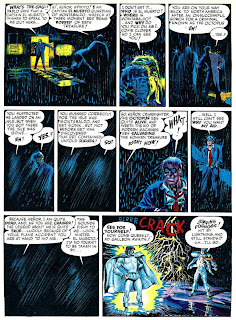 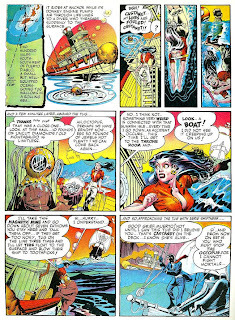 These are selections from the Warren SPIRIT #1, 1974. 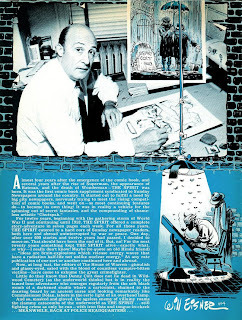 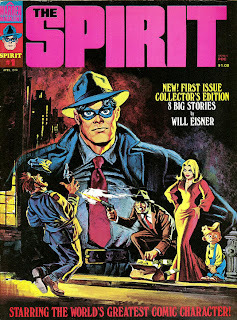 The cover is by Eisner, painted by Basil Gogos. 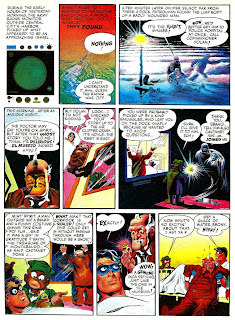 The interior color is by Richard Corben. 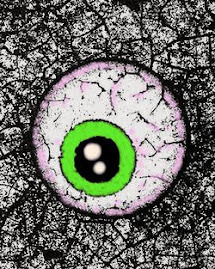 Man, I do remember having this one, but it sure is nice to see it again. 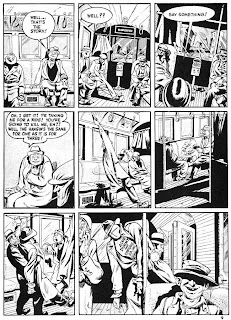 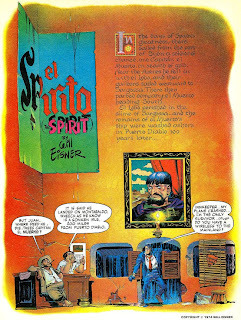 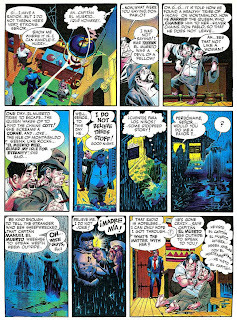 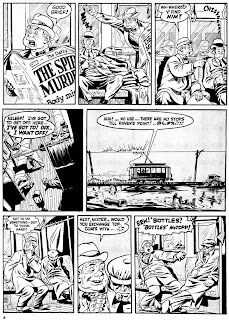 The Warren Spirit was my first exposure to Eisner and it was real a jewel. 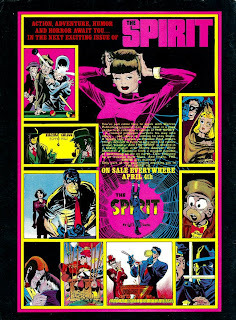 I started collecting The Spirit after seeing a stack of original Spirit sections a buddy of mine scored in some comic book deal back in the mid-'60s. 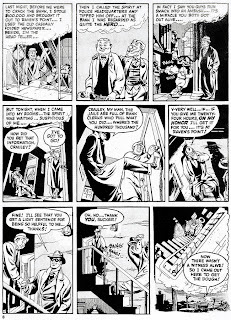 Right after that Harvey Comics came out with a couple of Spirit giant comics and I went after everything and anything I could get. 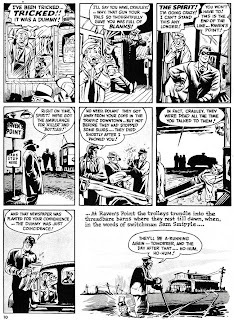 I just got back from your blog, Chuck, enjoying the hell out of your ATOMIC WAR comics. 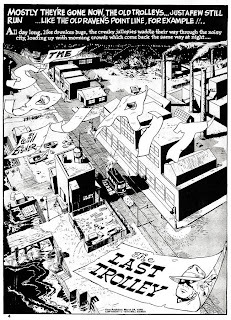 Anyone who wants to see some genuine '50s Cold War paranoia needs to see these. 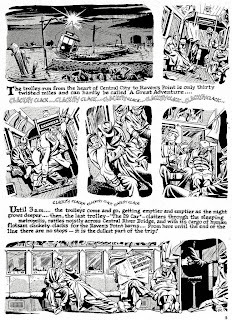 Just visit the Comic Book Catacombs.